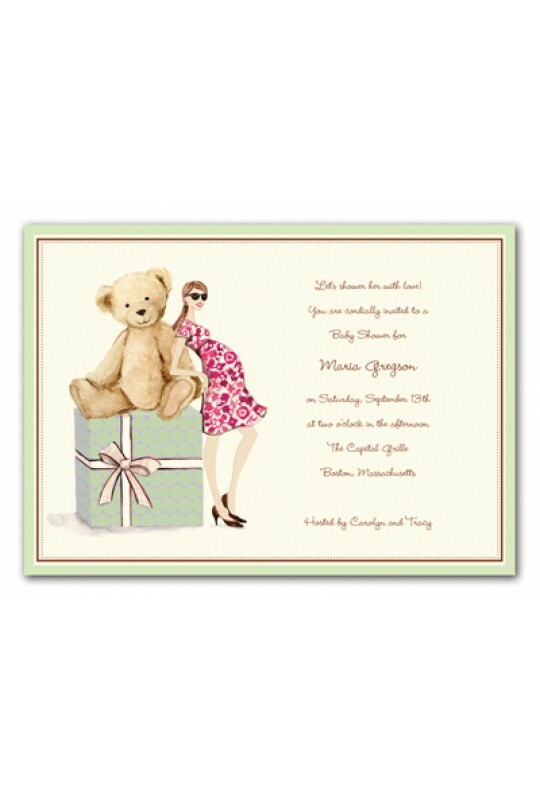 A mom to be is leaning against a box with a giant teddy bear on this stylish invitation. Colors include shades of pink, green, chocolate and white. Includes blank envelopes. Bonnie Marcus Designs has now gone Green! Their ECO friendly stationery is printed on recycled and FSC certified paper.